Moong Lentils cooked with chopped coconuts and peas is a traditional Bengali preparation. The aroma of fried moong itself beckons one about a nice dish in the making. 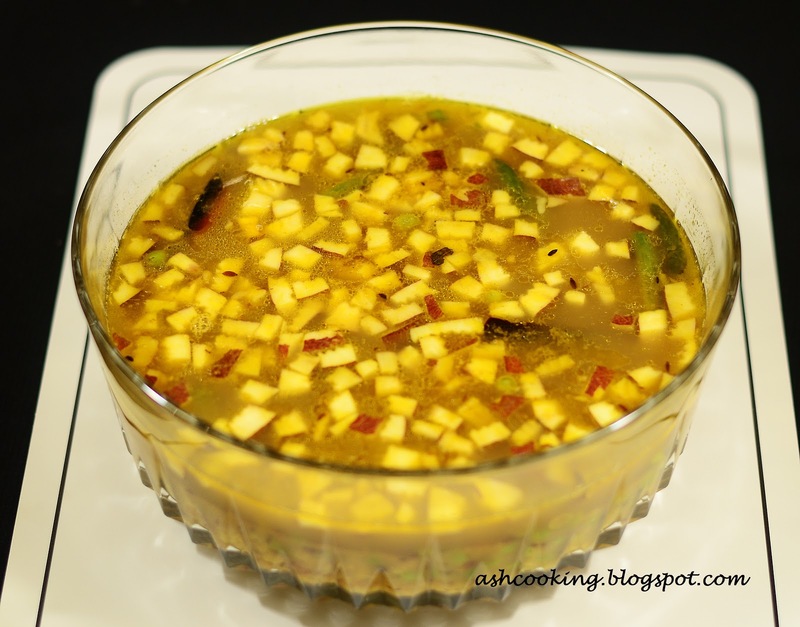 This special cuisine is concocted usually during some special occasions like Durga Puja or Paila Baisakh. It is best relished with rice and bhaja as accompaniments. 1) Heat up a pan and dry roast the moong lentils on medium heat till lentils turn golden brown in color. 2) Take lentils off the heat and wash cleanly. 3) Now in a pressure cooker add about 2 cups of water and the roasted moong lentils. Mix in turmeric powder and cumin powder. Fix the lid into the cooker and cook on medium heat till one whistle. Turn off the heat after one whistle and once the pressure cooker comes to normal temperature, open the lid and keep the dal aside. 4) Heat oil in a pan and when smoke comes out, add the ingredients for sautéing. Sauté till they begin to splutter. 5) Add coconuts, green chillies and peas and stir fry till they turn golden in color. Add the cooked lentils and stir to mix. 6) Cook the dal on medium heat for 2 minutes. Add salt and sugar. Add water if dal becomes too thick in consistency. 7) When dal comes to a boil, sprinkle garam masala over it and cook covered for 5-6 minutes.